How are u all ? its been dayss i made any post for you beautiful ladies. i have been sick and then busy, but now i am back. 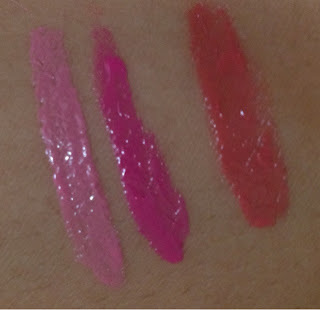 Today, i am gonna review MUA Lip Trio in Scarlet which i bought from Just4girls.pk. will post my Haul post soon. 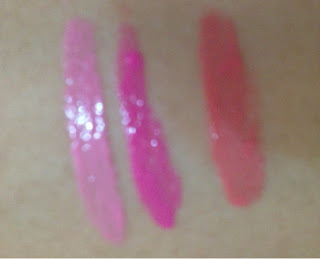 Pucker up Spring with new MUA Lip Trios. The long-term colour with a satin, balmy finish leaves the look of effortless polish and understated sophistication. It is available in 3 shade. These beauties are one of MUAs latest launches and from the moment they were released I knew that I wanted to try them so you can imagine my excitement when these were available in Pakistan. Each one comes with three lipstick shades in pans and a sponge tip applicator - not my tool of choice for lipstick! (its more like eye-shade applicator). I don't know why it's even included for lip products. 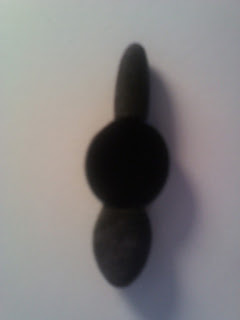 in my opinion a lip brush would have been better.I found that applying with my finger was also a good alternative. 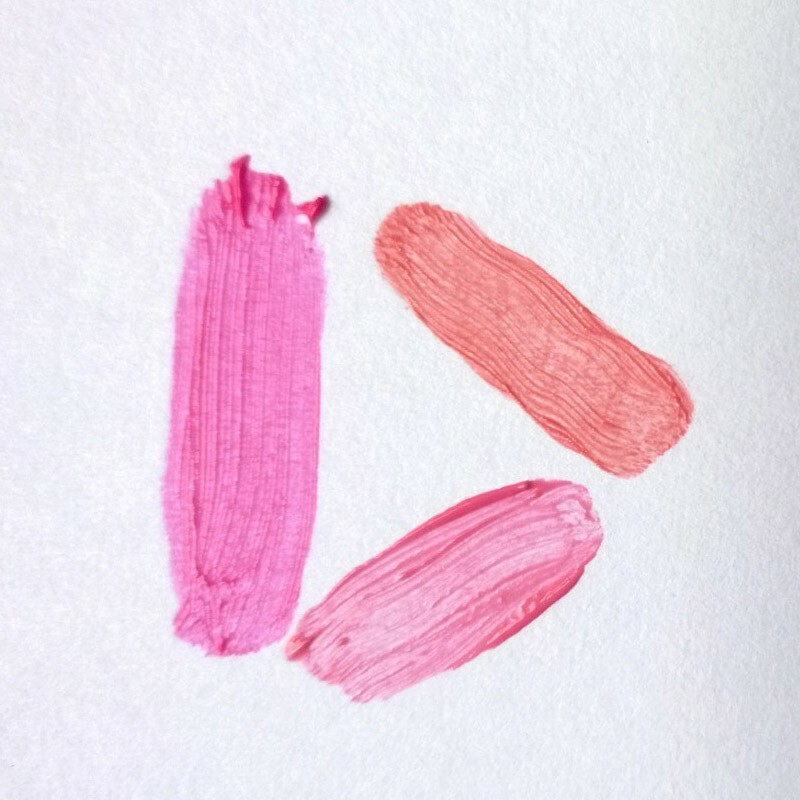 My trio scarlet contains three glossy colours- a pink, a darker pink and a very pale pink. 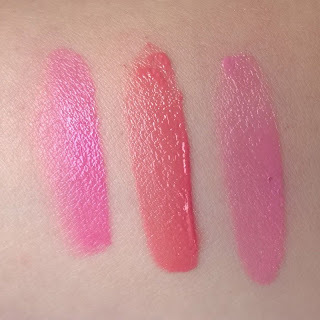 This is the more pinky coloured trio that was released.I would describe these more as tinted lip balms or glosses, there's definitely not enough pigment and for the first time i tried this i found them a bit too stick. I'm not going to lie, I've not been overly impressed with the formula, which is very unusual since I've loved every other MUA lip product I've tried. The texture is a little on the stiff side, It's quite a glossy and creamy formula and spreads evenly (yes these are quite moisturizing lippies!!). I would have loved it if they were a bit more pigmented. The shades are buildable, so a small amount can be applied for a lip stain effect. As for longevity I get around 3 hours of wear with out any eating or drinking and 1 hour with eating and drinking. so I am going to say this does not have a good longevity. 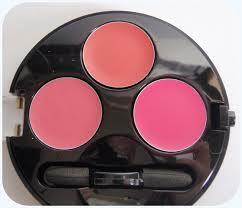 These Trio are available on just4girls.pk for 450 PKR quite affordable price for a trio.